Our organization has gained expertise in delivering Roller Table View Casting Machines. The machines offered by us are designed and developed to deliver heavy-duty usage along with operational flexibility. 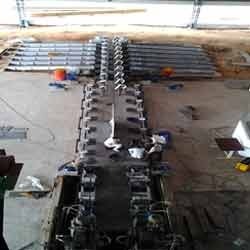 Our machines are acknowledged for excellent performance and low maintenance cost, these machines are widely acknowledged in the market. We offer these machines to the customers at industry-leading prices.